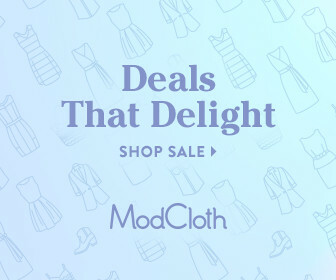 ModCloth may be your go-to for cute dresses and clothing, but did you know they have a flourishing decor department? Think fun and unique adornments for your home, kitchen, bedroom, office space, and more. If that’s not incentive enough to check it out, they just so happen to be having a 20% Off Decor Sale that’ll give your place a pop of personality. No code needed, so just shop 'till your heart is content and there really will be no place like your home! Hurry while it lasts!